We Will Not Stand (or Sit) for Trash Anymore! Home|We Will Not Stand (or Sit) for Trash Anymore! 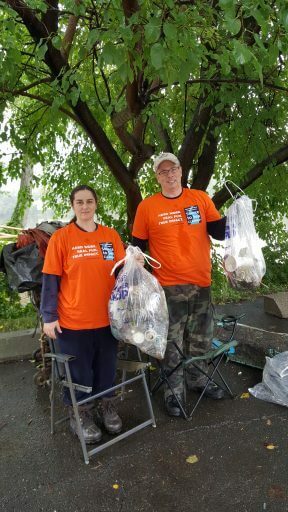 Liz Pollard and Ted Garner standing in chairs pulled out of the CT River, next to bags of trash and recyclables.